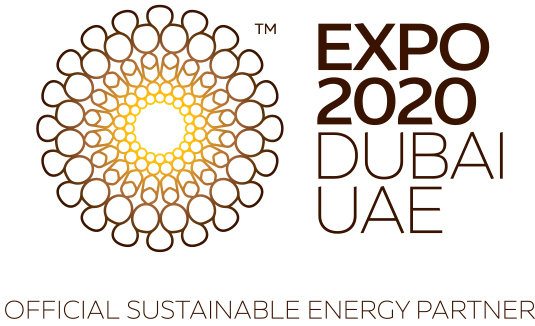 Dubai, UAE, 6 August 2017: Dubai Electricity and Water Authority (DEWA) has invited companies involved in solar photovoltaic (PV) technology to participate in the second Dubai Solar Show; the region's largest solar energy exhibition, organised by DEWA, in conjunction with the 19th Water, Energy, Technology, and Environment Exhibition (WETEX 2017). Both events are organised under the directives of HH Sheikh Mohammed bin Rashid Al Maktoum, Vice President and Prime Minister of the UAE and Ruler of Dubai, and under the patronage of HH Sheikh Hamdan bin Rashid Al Maktoum, Deputy Ruler of Dubai, Minister of Finance and President of DEWA. Dubai Solar Show will be held from the 23rd to the 25th of October, 2017, at the Dubai International Convention and Exhibition Centre. It will cover approximately 14,000 square metres and will attract exhibitors from around the world. “Organising the second Dubai Solar Show, following the success of the first issue last year, as the largest solar exhibition in the region, highlights the UAE's leadership in this field, as well as its leading position in increasing reliance on solar energy, and the transformation to a green economy, to embrace the concept of sustainability in all aspects: environmental, social and economic. We are keen on achieving the objectives of the UAE Vision 2021, to create a sustainable environment in terms of air quality, conserving water resources, more reliance on clean energy, and implementing green development in Dubai, as well as the Dubai Plan 2021 to establish Dubai as a smart and sustainable city, whose environmental elements are clean, healthy and sustainable. Consequently, the initiatives launched by our wise leadership aim to achieve global leadership in these fields, notably the Green Economy for Sustainable Development initiative, launched by HH Sheikh Mohammed bin Rashid Al Maktoum, Vice President and Prime Minister of the UAE and Ruler of Dubai, and the Dubai Clean Energy Strategy 2050, to transform Dubai into an international hub for clean energy and green economy, by providing 7% of Dubai's total power output from clean resources by 2020, 25% by 2030, and 75% by 2050,” said HE Saeed Mohammed Al Tayer, MD & CEO of DEWA. “Our efforts in the field of solar energy have led to the launch of major projects, notably the Mohammed bin Rashid Al Maktoum Solar Park, which is the largest single-site solar park in the world that uses the IPP model. It will produce 1,000 MW by 2020 and 5,000 MW by 2030, with a total investment of AED 50 billion. When completed, the project will achieve a reduction of approximately 6.5 million tonnes of carbon emissions annually. At DEWA, we are keen on engaging the community in our efforts to increase our reliance on solar energy, through the Shams Dubai initiative, to encourage building owners to instal PV panels on their rooftops to generate electricity from solar power. The electricity is used onsite and the surplus is exported to DEWA’s network,” added Al Tayer. Al Tayer stressed that DEWA encourages research and development in the field of solar energy. DEWA Innovation Centre will oversee research and development projects with a total investment of AED 500 million. DEWA will also host the Solar Decathlon Middle East (SDME), which was created through an agreement between Dubai Supreme Council of Energy (DSCE) and DEWA, and the United States Department of Energy. Participants will be university students from all over the world. Dubai will host the first two rounds of SDME, which will be held for the first time in the Middle East and Africa. Dubai will host the first decathlon in 2018 and again in 2020, to coincide with World Expo in Dubai, whose theme 'Connecting Minds, Creating the Future’ fits well with this distinguished international competition. “Analysts expect that, by 2030, the solar market will increase ten-fold, and solar will become the dominant electricity source around the world. Solar energy is forecast to generate $5 trillion in revenue over the next 15 years, displacing large amounts of fossil fuels. The significant development of solar PV technologies, combined with 75% drop in cost over the past 10 years, have made it a popular option in various parts of the world. Thus, the show is an ideal platform for service and municipal institutions, universities and educational institutions, manufacturers, suppliers, distributors and specialists in the fields of solar energy, storage systems, as well as IPP solar power developers, research and development institutions, and engineering and consulting companies to learn about the latest technologies and trends in this promising industry,” said Al Tayer. Al Tayer called on all parties responsible for solar energy projects to participate in the Dubai Solar Show due to the benefits offered to exhibitors and participants. The show allows companies to introduce their institutions, products and brands at a strategic level. It gives them a chance to communicate with pioneers of solar energy in the world, and build relations with decision makers, entrepreneurs, investors and buyers, and mainly with DEWA. In addition, exhibitors will be able to explore current and future solar projects in the region, the latest market trends, and the legislation, laws and regulations set by the competent authorities. “Dubai Solar Show offers exclusive benefits to participants, such as free registration for companies and products at DEWA, letters of recommendation for products participating in the show, and exclusive field visits to the Mohammed bin Rashid Al Maktoum Solar Park. The benefits include speaking to the public and reviewing products at conferences and seminars accompanying the show. Organising the show in conjunction with WETEX and the World Green Economy Summit (WGES) is a unique opportunity for those interested, to extend their scope of work to include other renewable forms of energy and many related sectors such as water, environment and energy production, in general, as well as green economy projects. In addition, participants and visitors can avail of the busy agendas of the two events which feature conferences, workshops, and specialised activities. They can also meet experts and specialists from around the world,” said Al Tayer. “I invite all companies and organisations working in solar technologies to take part in Dubai Solar Show and explore the various investment opportunities offered by this promising sector,” concluded Al Tayer.